How Much Does Dying Cost? 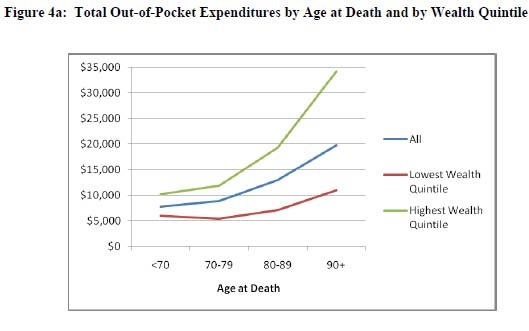 The study estimated that out-of-pocket health care spending in the last year of life amounted to $11,618 on average, with the 90th percentile equal to $29,335, the 95th percentile $49,907, and the 99th equal to $94,310. Yes, you read that correctly: Health care spending in the last year of life by the top 1 percent of Americans is nearly twice the annual income of the typical American household. Read the full story at Economix.